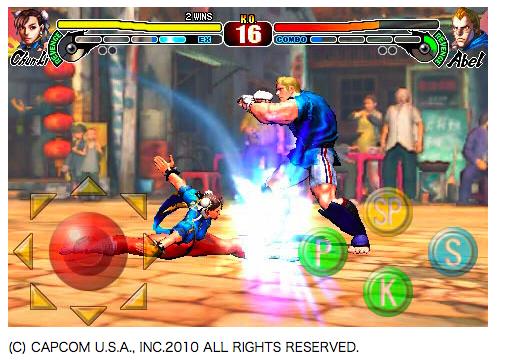 As reported (and following Final Fantasy I and II, which are now available), the App Store will get another hit Japanese video game this month, Streetfighter IV. 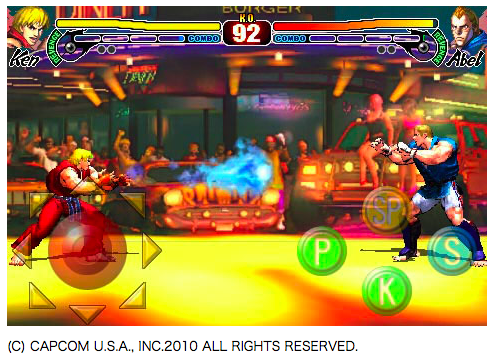 It will be the first mobile version of the Arcade game that so far was only ported to PS3, XBO360 and the PC. And today maker Capcom released the official trailer and a slew of new screenshots. 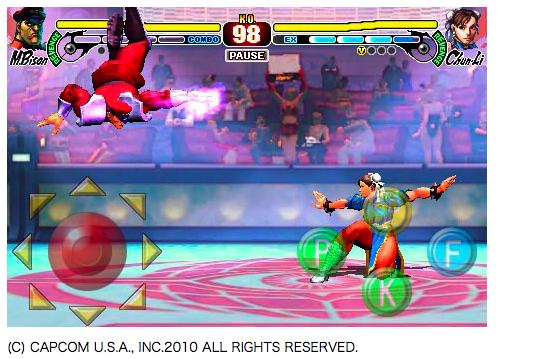 The game will cost $9.99 and offer a total of eight characters (Ryu, Ken, Guile, Blanka, Chun-Li, Dhalsim, M. Bison and Abel), nine less than the Arcade version.